On Friday, April 19th, we will be holding a lunch and learn event in Peoria featuring Brad Keyes! The event will be held at the OSF Franciscan Prairie Building from 11am-1:30pm. Brad will speak on "Strange Observations" which covers an interesting take on things we do wrong in our industry. This talk should create a lot of Life Safety Code discussion and be a great learning opportunity for all who come! If you are interested in attending please email info@ciche.online no later than April 12th so we can get a final headcount for the lunch. You can visit https://keyeslifesafety.com/ to find out more about our exciting speaker or read more about Brad below! 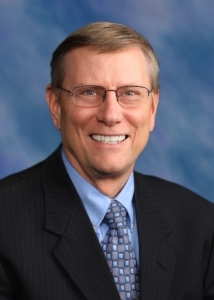 As owner of Keyes Life Safety Compliance, LLC, former advisor to Healthcare Facilities Accreditation Program (HFAP), and former Joint Commission LS surveyor, Brad guides clients through organizational assessment; management training; ongoing coaching of task groups; and extensive one-on-one coaching of facility leaders. As a presenter at national seminars, regional conferences, and audio conferences, Brad teaches the Life Safety Boot Camp series to various groups and organizations. He is the author or coauthor of many HCPro books, including the best-selling Analyzing the Hospital Life Safety Survey, now in its third edition. CIASHRAE and CICHE are jointly hosting a spring seminar on Monday, March 11th at the Eastland Suites Hotel & Conference Center, 1801 Eastland Drive, Bloomington, IL 61704. Mike is Farnsworth Group’s Director of Commissioning, a role he enjoys because it combines his interests in engineering, sustainability, interacting with teams, and managing tight budgets. Growing up on a small WI dairy farm, Mike appreciates the value of maintaining equipment well beyond its useful life, fixing things on the fly, and trusting the people around you. In his role at Farnsworth, he manages a team of 26 professionals in eight locations who specialize in reducing costs for clients through building assessment reviews, O&M optimization, asset management, and the commissioning process. Mike and his team lead the commissioning process for numerous healthcare clients. Off-hours Mike enjoys playing piano and involvement with local non-profits: Multi-cultural Leadership Program, Big Brothers Big Sisters of McLean County, and the Central IL Chapter for Healthcare Engineering (CICHE). Darren Meyers is an Architectural Engineer with over 25 years of experience in energy-systems design and applications engineering. He is President of IECC_LCC, an energy codes and compliance services group, with engineers and code professionals located in Champaign, Chicago and St. Louis. The company provides continuing education, code consulting, third-party plan review, Advanced Rooftop Retrofit, whole-building energy analysis and field assessment services as a complete solution for state energy offices, jurisdictions, production and custom homebuilders and design professionals including LEED facilitation, IECC, ASHRAE or IgCC regulatory compliance. Darren is Secretary and Voting Member to ASHRAE SSPC 62.2, a Voting Member to the ASHRAE SSPC 90.1, Envelope Subcommittee, and a licensed Professional Engineer in the States of Illinois, North Carolina, Pennsylvania and Wisconsin. York Chan, CHFM, CHC, SASHE has amassed 35 years of progressive management experience in health facilities operations. Presently, he is the administrator of facilities for Advocate Health Care, overseeing facilities operations for the system of 12 acute care hospitals in Illinois. He served as a board member of the American Society for Healthcare Engineering (ASHE) from 2008 through 2012. York is a Certified Healthcare Facilities Manager as well as a Certified Healthcare Constructor. York has served as faculty for the Joint Commission Resources and taught the "Environment of Care Base Camp" and “Exploring the Life Safety Chapter” programs. He has also conducted custom education sessions for the Department of Defense, Veterans Administration, and numerous health care organizations throughout the United States. He has also served as faculty for the Joint Commission Satellite Network (JCSN) and the Joint Commission Resources Quality and Safety Network teaching internet, satellite, and web-based environment of care programs. CICHE is offering an early-bird special - RSVP by March 4th to attend this event for FREE! ($50 from March 5th through March 10th, $60 at the event.) You can RSVP by emailing info@ciche.online. If you are registering after the March 4th deadline, you can visit the CI-ASHRAE site to register and pay (https://ciashrae.org/event/ciashrae-ciche-spring-seminar-2019/). Payment can be received through PayPal or credit card on the CI-ASHRAE website or credit card/cash/check at the seminar. The 2018 IECC Energy Code book is available for purchase at the discounted rate of $37.50 until March 1st at ciashrae.org. Book pickup will be at the seminar. Our annual conference will be held on December 13, 2018 at a NEW location this year: Holiday Inn & Suites Peoria at Grand Prairie, 7601 N Orange Prairie Road, Peoria, IL 61615. Please see agenda below for more information on our exciting speaker line up! As always, this event is completely FREE to all CICHE members! So don't hesitate to register for this great learning opportunity. If you are interested in attending please RSVP to info@ciche.online. This session will provide a detailed description of the IDPH process and how it is used for healthcare facilities. They will also discuss updates and required policies that impact inspections and projects. The 2012 edition of NFPA 99: Health Care Facilities Code has a very new and unique method of application. NFPA 99 may be the first truly risk based code used in healthcare facilities. We are very used to prescriptive codes that dictate requirements that are applied to design and operational requirements. The new Health Care Facilities Code will give ultimate flexibility to facilities as the establish an appropriate level of requirements directly related to the risk to the patients, staff and visitors. Jonathan will review the methodology behind the monumental change and preview tools provided for ASHE members to make appropriate risk assessments using the new Code. Wayne will present on a wide array of topics to help clear confusion with regards to testing and compliance requirements. He will touch on the TJC Environment of Care / Life Safety Checklist, as well as Life Safety drawing requirements and ISLM (ALSM) assessment and measure specifics. Fire response plan, fire drill documentation, and fire alarm / fire suppression system testing will all be discussed. From medical gas and vacuum systems to Legionella and GFCI testing, he will be sure to provide plenty of useful knowledge! We ask that you kindly RSVP to info@ciche.online by 7/20/18 if you plan on attending this event. We hope to see you there! Calling all ASHE Annual Conference goers! CICHE will be hosting a dinner at 6:30pm on Monday, July 16 at the Cheesecake Factory, located at 700 Pike St., Seattle WA. It is across the street from the Washington State Convention Center where the conference is being held. Please RSVP no later than 7/13 to info@ciche.online. Spots are limited so let us know early! Please plan to join us on July 12th at 5:30pm for our 2018 Summer Social Event at Destihl Brewery. This event is free to all CICHE members and is a great opportunity to network and enjoy the company of fellow CICHE members in a relaxed atmosphere. There will be a 45-minute private guided tour plus beer tastings and a souvenir glass (a little over 60 minutes total). Note: you MUST wear closed toe shoes if you are planning to attend this event. You will not be admitted on the tour if you fail to comply. Please RSVP to info@ciche.online by 7/6/18 if you plan to attend. We hope to see you there! The Central Illinois Chapter of the American Society of Heating, Refrigeration, and Air-Conditioning Engineers (CIASHRAE) is hosting the spring seminar on Monday, March 12th at the Eastland Suites Hotel & Conference Center at 1801 Eastland Dr., Bloomington, IL 61704. CIASHRAE has arranged for this event to be FREE for all CICHE members. Please RSVP via email to Tami Wright at twright@dewberry.com by March 5th.